Think green! Reusable water container! 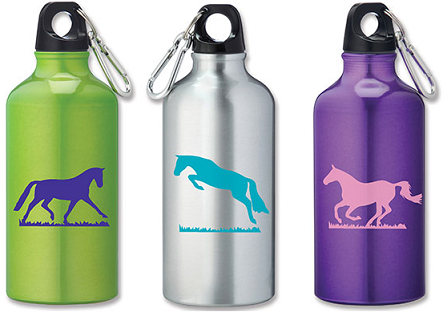 17 ounce aluminum water bottle with carabiner for easy attachment to bags and rings. Three colors. Green, Silver, and Purple.